Our WPC fence design more and more attractive can be made into a variety of colors. To meet the needs of different customer. In the promotion of environmental protection and the pursuit of green today, more and more customers use wood plastic fence to replace the wood fence. Have to admit that the use of wpc fence installed in your outdoor courtyard is a bright spot. WPC material brings a huge change to people. This is gratifying. it can be a good defense termites and other insect damage. It will not decay or fade over time. With this low maintenance cost of decorative materials, there is no reason to choose other materials. You do not just get wood fences with environmental benefits. Instead, you are using one of the most beautiful materials. Because they have different designs and colors combined with your outdoor space. 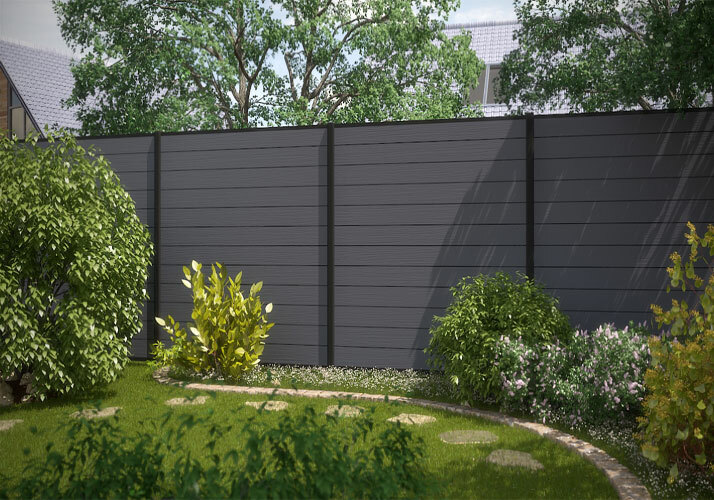 Modern materials and design for fence style. This is also the reason why more and more customers use wpc fence . Choose wood plastic fence, you can save costs and protect natural resources, I think nobody rejects use it. Seven Trust is WPC fence manufacturer, our factory can according to customer requirement make different style and height fence, with 5 years Warranty.